Jonah Hill’s directorial debut, Mid90s, is set for release later this year. Inspired by the likes of Harmony Korine’s Kids (1995) and Shane Meadow’s This is England (2007), Mid90s follows 13-year-old Stevie as he navigates summer in 1990s LA and attempts to deal with his messy home life and a new group of older, skater friends. According to Hill, “It’s sort of like a coming-of-age drama – it’s the most boring elevator pitch in the world, but it takes place in a skateboarding scene in the mid-90s in LA.” The comedy-drama stars Sunny Suljic as main character Stevie, Lucas Hedges as Stevie’s older brother Ian and Katherine Waterston as their mother, Dabney. Directed and written by Jonah Hill, Mid90s will be released by A24, the same studio that produced Lady Bird, The Florida Project, Moonlight and Bo Burnham’s new project Eight Grade. The independent film distribution company has gained growing recognition for its stream of experimental, creative films (such as Asif Kapadia’s Amy, Harmony Korine’s Spring Breakers and Andrea Arnold’s American Honey), providing a platform for creatives to produce something out of the ordinary. Moonlight‘s Oscar win in 2017 for Best Picture cemented A24 as a place for big stars to make strange movies, capturing a certain magic that typical Hollywood blockbusters often lack. As the backdrop of Mid90s, the Los Angeles skate scene has once again been referenced as a major source of inspiration for filmmakers. Speaking to Collider, Hill stated that “Skateboarding’s always been put on screen as a joke or an 80s cowabunga kind of trope,” going on to reference Kids as a more fitting tone for the type of skate movie he has attempted to make. Skateboarding in the 90s gave the kids that didn’t belong a place to belong and a family to be a part of. It was for the misfits and the outcasts. These ideas were a focal point for Kids and it will be interesting to see how Mid90s tackles similar themes. 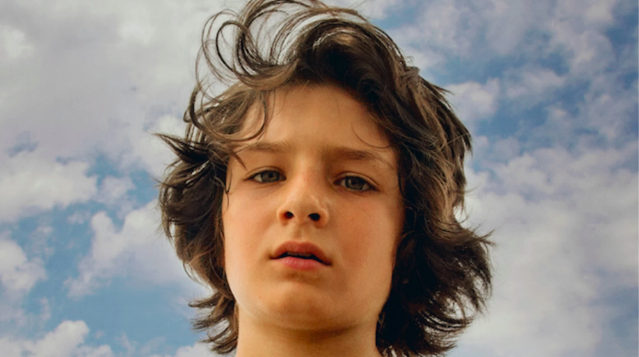 Just watching the trailer for Mid90s evokes the warm, tingly pangs of nostalgia, conjuring up memories of summers past. No doubt this coming of age film will see Stevie experience the many rites of passage that come with being a teenager in 1990s Los Angeles. Mid90s is set for US release in October 2018.